It looks like we might be heading in the direction of a single payer health care system, but note in the way we wanted. Aetna is seeking to buy Humana. While this would not actually be single payer, it would further decrease competition in the insurance industry. There is also speculation that UnitedHealth is interested in purchasing Cigna and Aetna. Instead of a single=payer system modeled on Medicare, we could wind up with a more monopolistic system, which should please Republicans. These purchases would be subject to anti-trust review. Aetna purchasing Humana would also give Aetna a much larger share in the Medicare Advantage market. So much for George Bush’s plan to supposedly increase competition and choice for Medicare patients. The plan has was more designed as a reward to the insurance industry for all the contributions they have made to the Republicans. In related news, The New York Times repeated misleading information on health care rates which I previously discussed. Only plans desiring rates over ten percent are required to submit their requests. Insurance companies have multiple plans, and are only seeking increases on some plans, leaving less expensive choices for those who take advantage of the exchange to compare plans. Plus the requests for larger rate increases will not necessarily be granted. However, should private insurance rates still be too high, single payer remains the most cost-effective means of providing health care coverage. This could turn into a major issue in Bernie Sanders’ favor. Now that health care coverage through the exchanges has been up and running for a several months we are getting more data on the favorable results. A major benefit has been to not only replace policies on the individual market which often had limited coverage with comprehensive coverage that cannot be canceled for development of medical problems, but to also make such care more affordable. A report from the Department of Health and Human Services found wide variation from state to state but found that on average those who receive subsidies are paying $82 a month in premiums, about one-fourth of what they would have paid without the subsidies. An erroneous report in The Los Angels Times claimed that the cost of subsidies was running above current projections received a lot of coverage in conservative blogs this morning but the article has since been corrected to indicate that the cost of subsidies is consistent with projections from the Congressional Budget office. On average, federal marketplace users can choose from 5 insurers and 47 marketplace plans across all the metal tiers; bronze, which cover 60 percent of health care costs, silver plans, gold plans that cover 80 percent of costs and platinum plans that cover 90 percent. The report found competition between plan providers lowers premiums. That bodes well for plan prices in 2015 when more plans are expected to enter the marketplace. McKinsey & Company also looked at choices available in their own study, finding that consumers typically had a choice of both more expensive plans with larger provider networks and less expensive plans with more restrictive networks. They also note that, “There is no meaningful performance difference between broad and narrowed exchange networks based on Centers for Medicare and Medicaid Services (CMS) hospital metrics…” Of course there are reasons beyond quality metrics which might cause people to be willing to pay more for a plan which offers more choice. They also report that 46 percent of those responding to their survey indicated they knew what type of plan they had enrolled in and 26 percent were unaware of the network type they had selected. The Hill reported on a growing number of insurance companies desiring to offer policies through the exchanges, which will both help lower costs and provide increased choice. As Jonathan Chait points out, this is evidence that Obamacare has been a success, doing what the program was designed to do. The actual news is also quite different from what is being posted at many conservative sites. While insurance prices through the exchanges are expensive before subsidies are included (and remain expensive for those of us who do not qualify for subsidies), the premiums look much more reasonable when compared to insurance prices prior to the Affordable Care Act, and when the frequent double digit increases in rates were considered. The Commonwealth Club has looked at insurance prices on the individual market prior to Obamacare. Choice in physicians is increasing in plans in the exchanges, but United Health Care continues to reduce choice by dropping still more physicians from their Medicare Advantage networks (which is unrelated to Obamacare). The Los Angeles Times and The Boston Globe are among newspapers reporting on a study from The Journal Of The American Medical Association showing that the Affordable Care Act has resulted in better health care and lower costs for young adults. 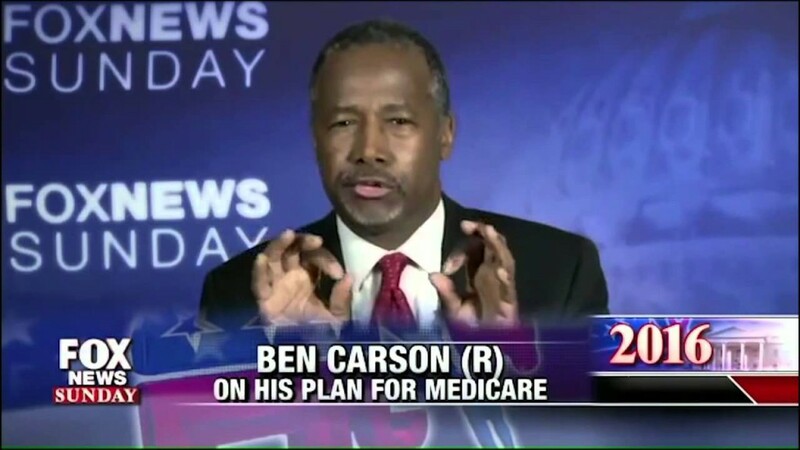 I’ve frequently seen mention of the Republican plan to end Medicare in various medical newsletters but have been surprised that it has not received much attention in the mainstream media. After all, this is an idea which the Democrats should be able to receive support by attacking. The idea is basically to give people vouchers to purchase insurance instead of going on Medicare in ten years. Presumably the Republicans believe that people more than ten years away from Medicare do not think enough about their personal future to pay attention. There is an outside chance they might be right on this. Republicans are also hoping that seniors will not care if it doesn’t affect them, but seniors would be wise to see this as a threat. If young people are not going to wind up on Medicare, they’d have less incentive to see it protected today. Having a steady stream of new people on Medicare will help ensure that there is political support for maintaining this important and highly successful program. 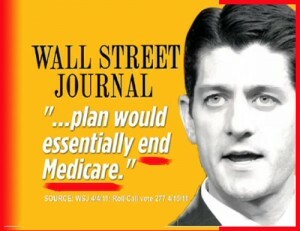 The idea finally started attracting attention today with Paul Ryan writing about his plan in The Wall Street Journal. Apparently one Democrat did a poor job of criticizing the plan on Hardball but there will be many more opportunities. While the Democrats are frequently beaten by Republicans on the spin war, primarily because not being bound by the facts makes it easier to argue, this is one GOP idea which is so bad that even the Democrats should be able to successfully attack it. The primary problem is that health care costs will continue to go up and vouchers are unlikely to allow seniors and the disabled to buy health care insurance which adequately covers their needs. Health insurance companies already do a terrible job of covering those over forty on the individual market in their efforts to avoid covering people who actually need health care coverage. The insurance companies do not want to cover people with pre-existing conditions, and this applies to a very high percentage of those on Medicare. The one exception where private insurance companies have insured the Medicare population has been Medicare Advantage plans, but many companies have already left this market after the subsidies to care for these patients were reduced. It costs about twelve percent more to cover people under private Medicare Advantage plans than in the government plan, showing how the private insurance industry is a poor alternative to the Medicare program. Tyler Cowen, writing in The New York Times, warns that no matter whether the current health care reform legislation is passed we will be seeing more of managed care. This does have an important ramification for the future spin war. Republicans are already falsely claiming that health care reform will lead to rationing and even “death panels.” They are attacking the proposed cuts to Medicare even though the proposed cuts would primarily reduce the profits of insurance companies which sell Medicare Advantage plans and will not significantly affect patients .